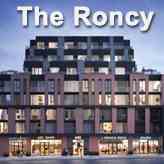 Amenities are handsome, but not endless: there's a party room and a landscaped terrace, but not a lot more because when you have all the fantastic new places in Roncesvalles Village on your doorstep, your don't need to pay high monthlies to keep you entertained. There’s a whole lot to discover in Roncesvalles, and the best way to do it is on foot. Go for a walk down Roncesvalles Avenue and check out some of Toronto’s best coffee shops, restaurants, and bars. Builders: Gairloch Ltd. & Centrestone Urban Developments Inc.
Main Intersection: Dundas St. West & Sorauren Ave.
Unit Size: From 470 Sq. Ft. To 1500 Sq. 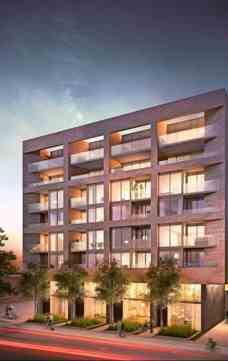 Ft.
Centrestone Urban Developments Inc. is a Toronto based Real Estate Development company. 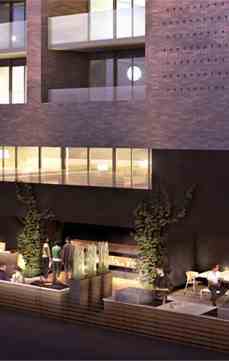 We are principals in several projects located in the city of Toronto. For over 12 years, we have forged strong business partnerships and have acquired unique properties in key locations in the city of Toronto.